We are working on 16 new group applications, from exciting new locations. I want to go on record saying I'd be more than willing to volunteer for the Urban Sketchers job of visiting each of the more than 150 Regional Chapters around the world. The thing that binds us is our love of drawing the world around us. We don't use photographs. We don't charge money to join the group or charge money when we sketch together. We try to be supportive and encourage all people at all skill levels to share our passion. Keeping all these wonderful goals in mind, the need to declare what is really an urban sketch feels somewhat less important. I’m suggesting we should be gentle and kind offering guidance to our fellow sketchers. 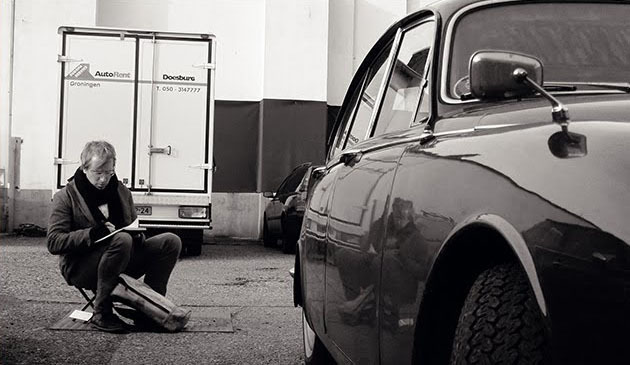 Sketchers around the globe have been expressing condolences and sharing memories of Florian Afflerbach, the German architect and avid urban sketcher who died suddenly May 5. He is deeply missed by the entire Urban Sketchers community. Mark your calendars for a chat with the USk Board on our Facebook group page June 5 at 10 a.m. and 5 p.m. CDT. Elizabeth Alley, Mario Linhares, Brenda L. Murray and Suma CM will be there live and are looking forward to answering your questions and chatting about Urban Sketchers. Thanks to Heather Horsey of Urban Sketchers Waterloo Region, who has been helping to keep our Facebook page up to date. Thanks also to Lydia Velarde of Urban Sketchers San Diego, the new USk YouTube Channel Coordinator. Our apologies to Urban Sketchers Ipoh in Malaysia, which was incorrectly identified as being part of the Philippines in the last Drawing Attention. To give more people an opportunity to purchase the last few Workshops Passes, we are extending registration through June 15! At midnight GMT, June 16, registration for the 2016 Urban Sketchers Symposium in Manchester will close for good. Don't miss out! Register now for a Workshops Pass! See programming information. Interested in hosting the 8th International Urban Sketchers Symposium in your city? See more information here, and the selection criteria here. Submission deadline is July 1, and we'll announce the selected city at the 2016 Symposium in Manchester! These fantastic USk workshops still have space for you! The third annual Chicago Sketch Seminar is now open for registration for the July 9 - 10 event. Visit the event blog to register and for all event information, including pricing information. Join us in Tacoma, Washington (USA), Aug. 19 - 21 for the 4th Annual West Coast Urban Sketchers Sketch Crawl. Please RSVP if you plan to attend. 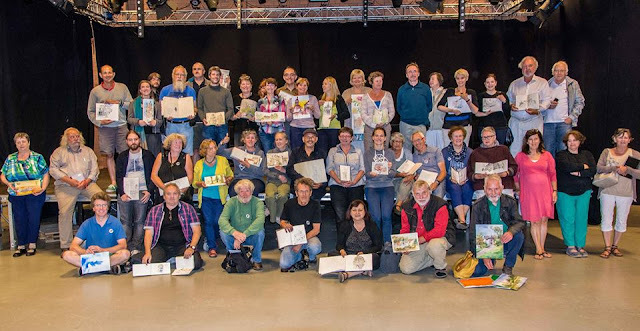 "We were so busy drawing we haven't thought of going official!” Sonia Vande Velde said of new Regional Chapter USk Belgium. “It was about time, though – we grew pretty comfortable and count more than 560 followers on our Facebook page,” including Gérard Michel and Jeroen Janssen. Last year the group’s first USk weekend was organized, where “we all ended it up with smiles on our faces and our heads full of memories,” Sonia said. 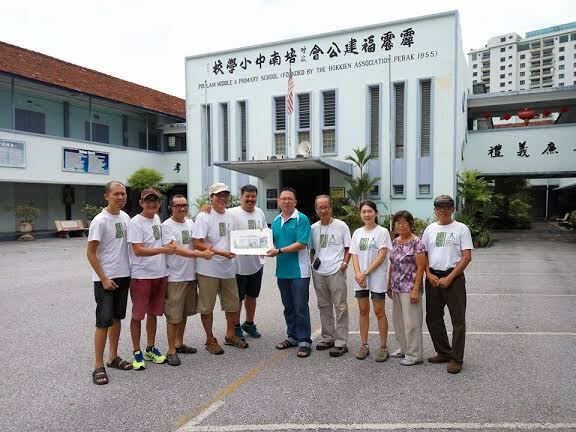 Chin Kok Yan reports that Urban Sketchers Ipoh sketched at the Poi Lam School in May. Built in 1955, the school had to be demolished due to development in the area. Sketches and paintings from the event will be donated to the Society of the School for Charity Day to help raise funds for rebuilding. William Cordero reports that Urban Sketchers Costa Rica was “reborn” after he and Julia Stefan met by chance at the Santo Domingo USk Symposium of 2012. “After three days of sketching madness it was clear that it was the right moment to bring back all of the good experiences and knowledge to our country.” The group made its first blog post in October 2012. 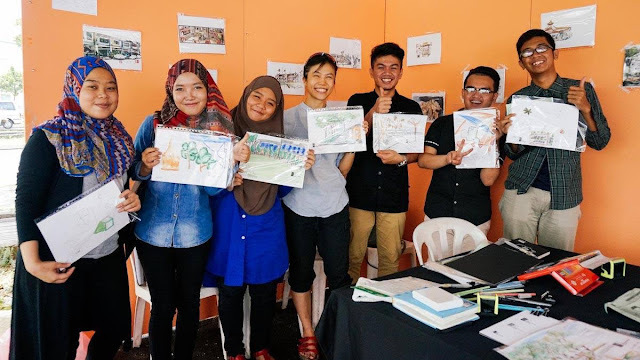 By invitation of the Malaysian Ministry of Youth and Sports, Urban Sketchers Kuching hosted an “Introduction to Urban Sketching” workshop April 23 at the Universiti Malaysia Sarawak's campus carnival, said Peggy Wong. 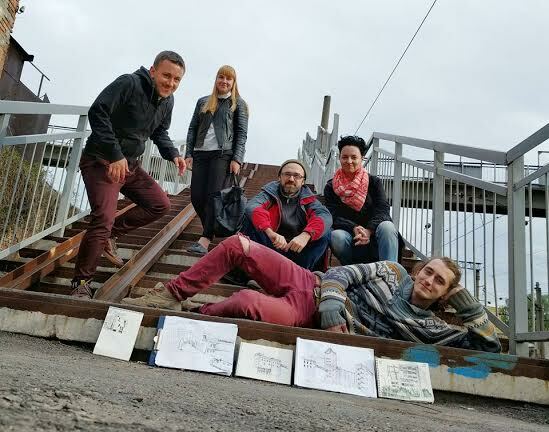 About 30 participants, made up of current and prospective university students, tried sketching on location for the first time. “We were glad that they all had fun, enough to want to join our sketch outings soon,” Peggy said. Members of USk Paris sketch while they are interviewed by Radio Libertaire! 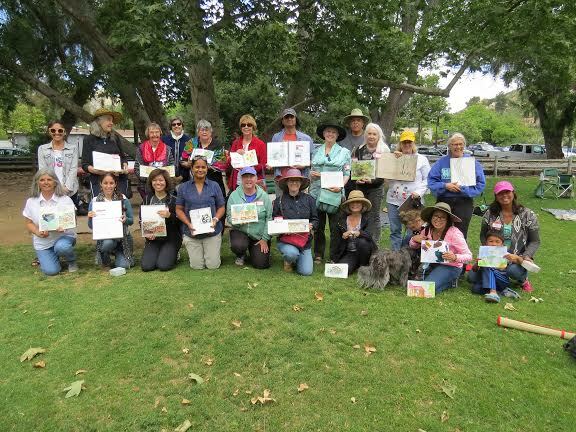 Lydia Velarde reports that San Diego Urban Sketchers celebrated three years of sketching together with a birthday party at Old Poway Park. A video of the event can be seen on YouTube. USk San Diego celebrates its third anniversary. Joey Kher reports that USk Batu Pahat and USk Kuala Lumpur had a combined sketchcrawl weekend in May. “Kuala Lumpur sketchers traveled 300 kilometers to meet us and had a two-day, one-night sketchcrawl in this small town,” Joey said. 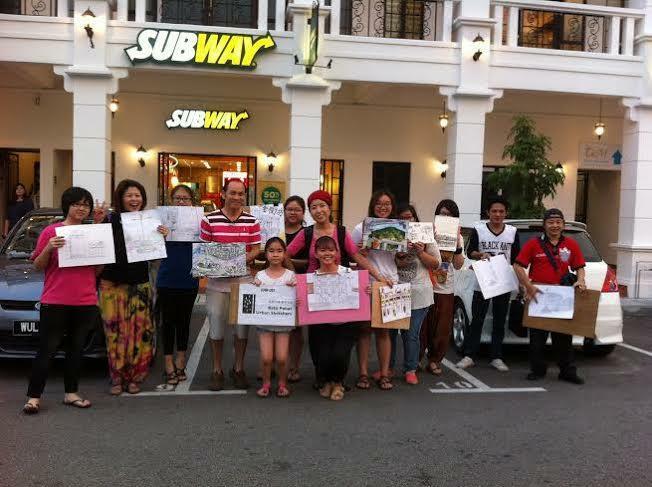 It was the first official sketchcrawl for USK Batu Pahat. “We received warm welcome by Mr. KC Lee, founder of USk Kuala Lumpur, and his team of eight artists. Our USK Batu Pahat learnt a lot of insight after the sharing by our KL guests.” The sketch event received national and local newspaper coverage. USk Batu Pahat sketching in the commercial center at dusk. Flora Wang said Beijing Urban Sketchers, established last December, held its first workshop in May with 13 sketchers. The average age of participants was 26. USk Beijing held its first workshop. Alvin Wong announces that Urban Sketchers Hong Kong has an exhibition from May 25 to June 10 in Hong Kong. Ronaldo Kurita reports that USk São Paulo held its 75th sketch meeting at the Latin America Memorial designed by architect Oscar Niemeyer. Meanwhile, USk Brasília, Brazil's capital, has created a new logo incorporating Brasília’s Cathedral. 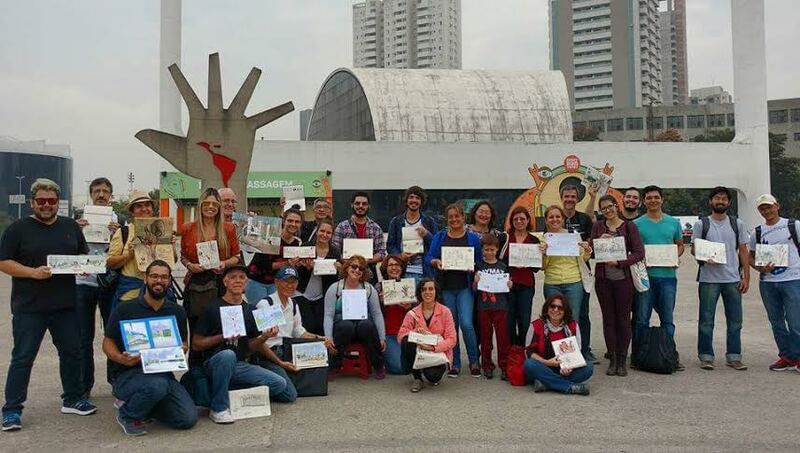 Formed a year and a half ago, USk Brasília meets every three weeks. James Hobbs, author of Sketch Your World, has a new book. Pen and Ink (published by Frances Lincoln) is now available in English. French and German editions are already in the shops. 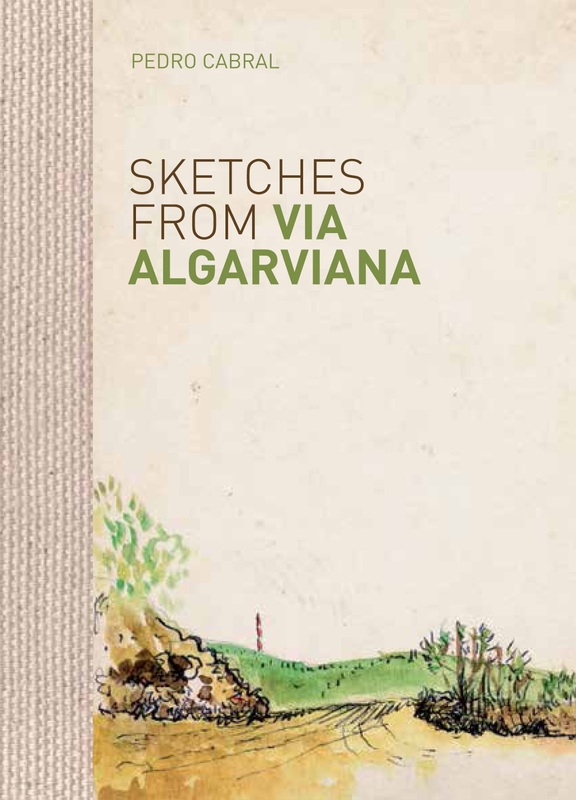 The book features the work of about 30 artists, including some urban sketchers. Pedro MB Cabral's new book, Via Algarviana, is now available on Amazon (US, UK, France, Spain). The collection of sketches is from his 300-kilometer walk across Algarve. 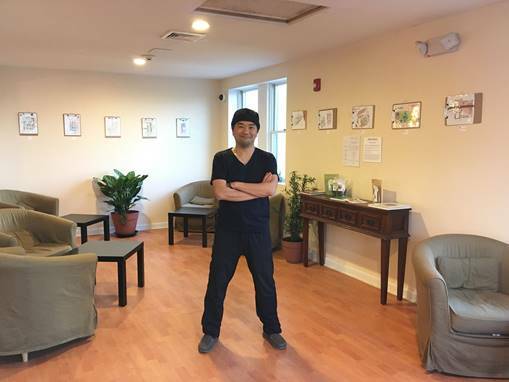 Mike Daikubara recently exhibited his ongoing series of hotel room sketches at L’Aroma Café and Bakery in West Newton, Massachusetts, last month. Mike recently finished his 100th sketch in the series. Mike Daikubara at his exhibit of hotel room sketches. Jason Das has a new online store to sell his zine, “If You See Something, Sketch Something,” containing 10 years of his urban sketches and other observational drawings. The UK stationery blog Pens! Paper! Pencils! 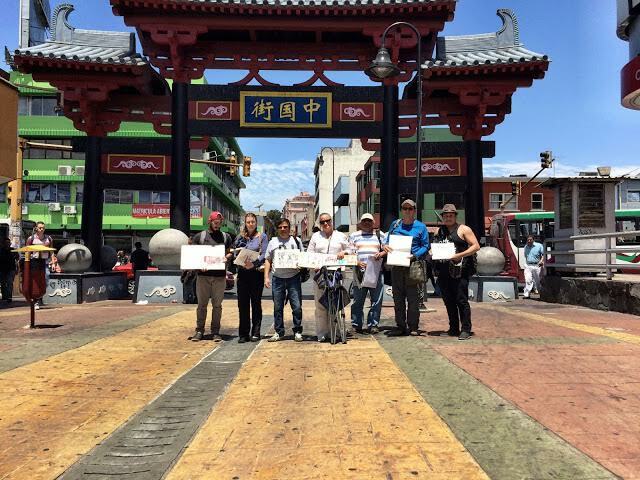 invited Tina Koyama to write about Urban Sketchers and her "sketchbook lifestyle" last month. Not seeing anything about you or your Urban Sketchers group in Drawing Attention? Then we want to hear from you! 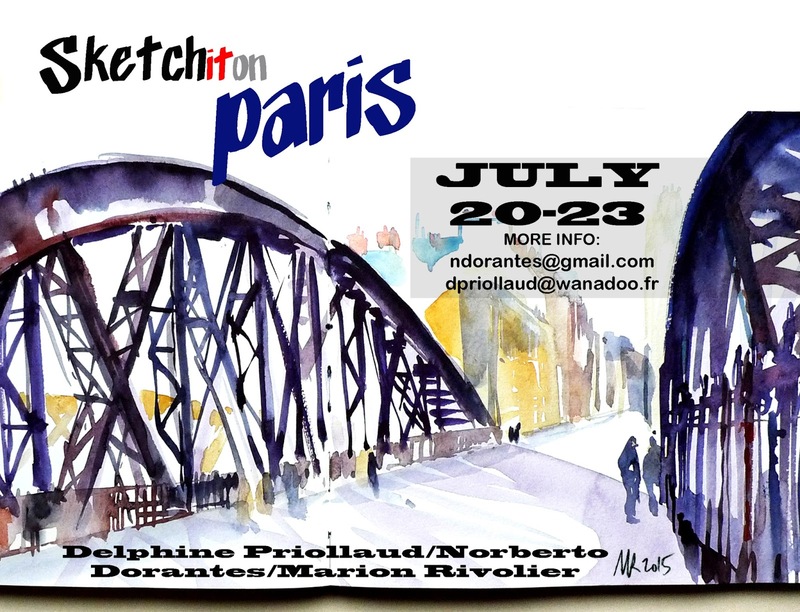 Please send your urban sketching news items with links and images to: drawingattention@urbansketchers.org. Subscribe by e-mail. Happy sketching!